Specializing in furnace, air conditioner, and heat pump repairs and replacements, including ductless systems. We had our furnace and AC replaced due to age and advantages of a new energy efficient unit. We are satisfied with the price, quality of work, and the timely service. 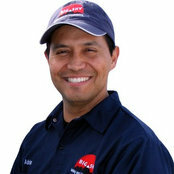 I recommend Big Sky for any HVAC job. Adrian came to my house to do service on my entire system. He explained in details what he found and how the furnace and AC works. very happy with the results. Great prices quick installation service was wonderful. I'm very honest and what we needed. Will refer them to others. extremely pleased. I have used Adrian's services for 11+ years. I wouldn't even consider using anyone else. He gave me options for costs and discussed pro's and con's of the choices he proposed. Big Sky does a great job and has done so for many years. Always very informative and prompt. I highly recommend them!